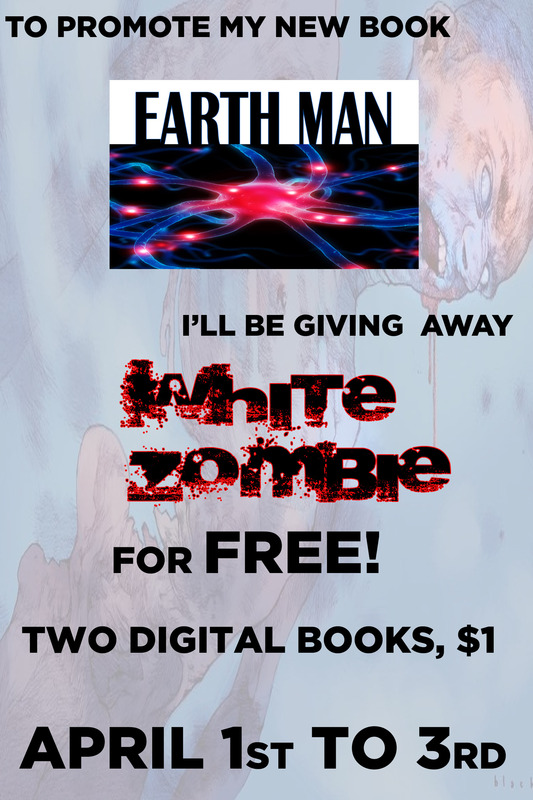 I’ve decided to push White Zombie 2 back until Halloween, 2014. My reason for this is that I lost about six months of promotional time with the delay in getting the cover art. At this point, I’d rather let the original issue grow and build an audience before writing a sequel. 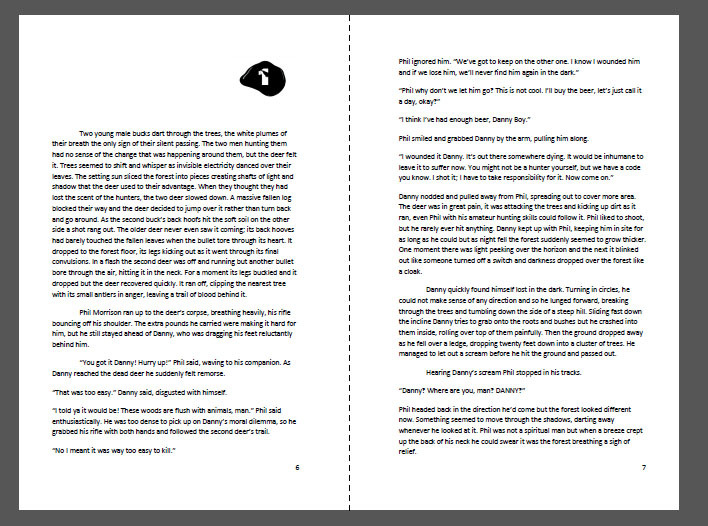 I still owe the original contributors a print copy of the book and keeping my word is very important to me. Instead, THE CAT PRINCE OF PUMPKINLAND will be my Halloween release for this year. I hope you like it. Stay tuned for more. I have very little to do with this book, but since I wrote a first draft of the comic script, I am still going to brag about it. This was done by Kat and Anthony Hary. Great job guys! 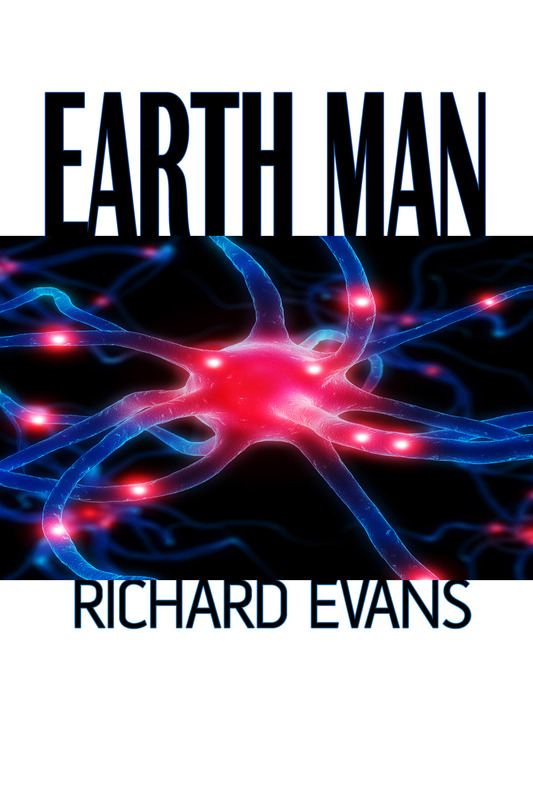 Here’s the final, definitive print version of Earth Man. The chapter numbers were all my wonderful wife’s idea. Adds a nice touch to the book, I hope you all enjoy it! Up at the top there, just above my name, is a new page. This page has links to all the books I currently have on sale. A word of advice though, the newer ones are better quality as my computer skills improve. The first time I made a book many years ago I didn’t even know what the resolution was of a file, so the covers were pretty bad! The Canadian Legion made it to the biggest online comic retailer in the business, so that’s good, maybe if I can sell ten thousand digital copies I can raise enough money to finish the third, fourth and fifth issues. These will be available for 1 year, to celebrate the release of my first novel. It’s expensive, with an all-white cover. The price is so high because the book is 402 pages due to the LARGE PRINT for the Visually Impaired. CLICK HERE for the special hardcover edition! My first novel is now available digitally from Amazon.com. <– Just click there to go to the website. 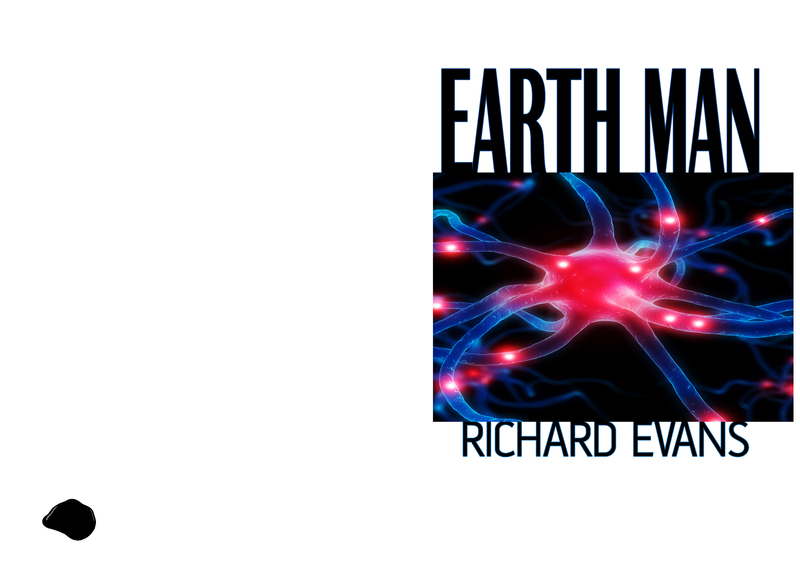 Earth Man is the first of a three book trilogy but if you don’t get in where it begins, you might miss out! Amazon will carry the print edition, but there will also be a special hardcover edition from LULU.com that I am working on. Stay tuned, this book is going to rock! Rather than tell you about Legion Unleashed, how about you guys check out this great review on comicbookdaily.com? You guys were here from the beginning! Well here is the digital version of EARTH MAN!